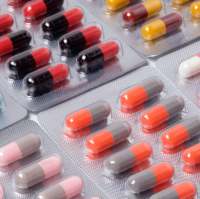 The World Health Organisation (WHO) has issued a warning over a growing resistance to antibiotics. A lack of new drugs being developed or coming to market could "seriously jeopardise" progress made in modern medicine, according to Dr Tedros Adhanom Ghebreyesus, WHO's director general. Dr Ghebreyesus has made the remarks following a WHO report highlighting resistance to antimicrobial drugs, commonly referred to as antibiotics. Antibiotics are used to treat or prevent varieties of bacterial infections and speed up recovery from conditions such as kidney infections. The report identifies only eight of the 51 new antibiotics and biologicals in clinical development will add value to present-day treatment options. Dr Ghebreyesus said: "Antimicrobial resistance is a global health emergency that will seriously jeopardize progress in modern medicine. Authors of the report are calling for greater investment in basic science, drug discovery and clinical development. Dr Suzanne Hill, director of the department of essential medicines at WHO, added: "Pharmaceutical companies and researchers must urgently focus on new antibiotics against certain types of extremely serious infections that can kill patients in a matter of days because we have no line of defence." When planning an overseas trip, cover potential costs of seeing a GP and expensive antibiotics prescriptions by taking out comprehensive travel insurance.